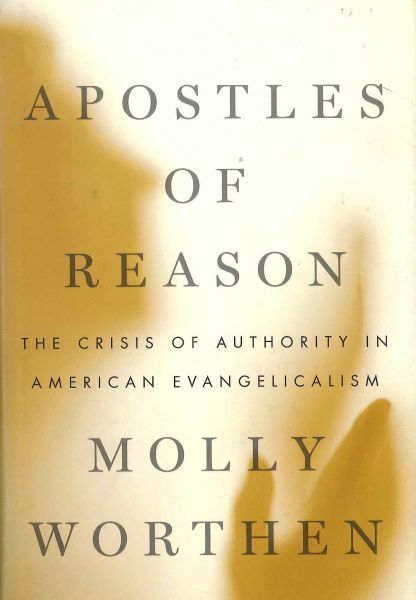 Molly Worthen, Assistant Professor of History at the University of North Carolina, Chapel Hill, using the combined resources of Wheaton College’s Archives & Special Collections, Billy Graham Center Archives and the Wade Center, has released Apostles of Reason: The Crisis of Authority in American Evangelicalism (2014). Navigating the paradoxes and ideological clashes of the Christian Right with American culture, she examines the often fierce struggle between faith and reason. The Energizer Bunny advertising campaign proved to be a success partly for its novelty and also for its implication that if we use the correct battery, we would never run out of energy to operate small appliances. But the actual never-ending feature of our daily lives is the reality that our resources are limited. We do not have enough time, money, energy, or talent to achieve all that we desire. Some of the most nettlesome ethical choices facing our world are the result of limited resources, such as the availability of oil, medical aid, and fertile land; or the supply of courage, wisdom, and trust. Acknowledging the limitation of resources is not difficult for the believer, for we know that our world—and its provisions—is under the temporary rule of death. In death we face the ultimate threat to our plans and dreams. We struggle with limitations because death has stained every facet of creation. With Paul we may cry, “Who will rescue me from this body of death?” (Rom. 7:24). Or with Moses we may pray, “Relent, O Lord! How long will it be? Have compassion on your servants” (Ps. 90:13). In Christ alone we find the promise of life outside the rule of death. After that poignant question in Romans 7:24, Paul describes how Christ sets us “free from the law of sin and death” (8:2). Our new life is a reception of life indeed, the freedom to live with the resources not of this deathly world, but of God Himself. Moses answers his own urgent plea by recognizing that God is the source of abundance: “Satisfy us in the morning with your unfailing love, that we may sing for joy and be glad all our days” (Ps. 90:14). God’s love does not operate on the principle of scarcity, and the rule of death does not limit the resources of His charity. Only if we understand the abundance of God’s grace can we begin to understand Christ’s remarkable instruction that we forgive not just seven times, but seventy times seven. We ought to treat others not out of our limited resources, as if our capacity to forgive others can be depleted, but out of God’s abundance, through which we can forgive over and over and over again. Only a life lived within God’s abundance can accomplish Christ’s instructions: “And if someone wants to sue you and take your tunic, let him have your cloak as well. If someone forces you to go one mile, go with him two miles. Give to the one who asks you, and do not turn away from the one who wants to borrow from you” (Mt. 5:40-42). This is the practice of abundant life, not the rule of death. Because of God’s abundance, Christians are to be known for their giving, their caring, and their hospitality. Oxford theologian Oliver O’Donovan notes the provocative nature of Christian generosity: “An extravagant, unmeasured goodness, corresponding to God’s own providential care, defies the logic of public expectation” (The Desire of the Nations 109). We ought to defy the logic of this world, and lives rooted in God’s giving are capable of just that. Through my research on communication practices, I now believe that our ways of talking and listening can be rooted in life or in death. Are we cynical, measuring the talk of others according to the waste of limited resources, or are we charitable, looking with grace upon the efforts of others? Do we persuade others by appealing to their fears of loss or their hopes of gaining scarce rewards? Or do we urge others to lives of trust, charity, and generosity? We still must struggle in a world ruled by death. Perhaps, the greatest benefit of God’s abundance is the never-depleted supply of wisdom He gives us to see our difficult decisions from the vantage point of abundant life, We are free to rest in a limitless God.